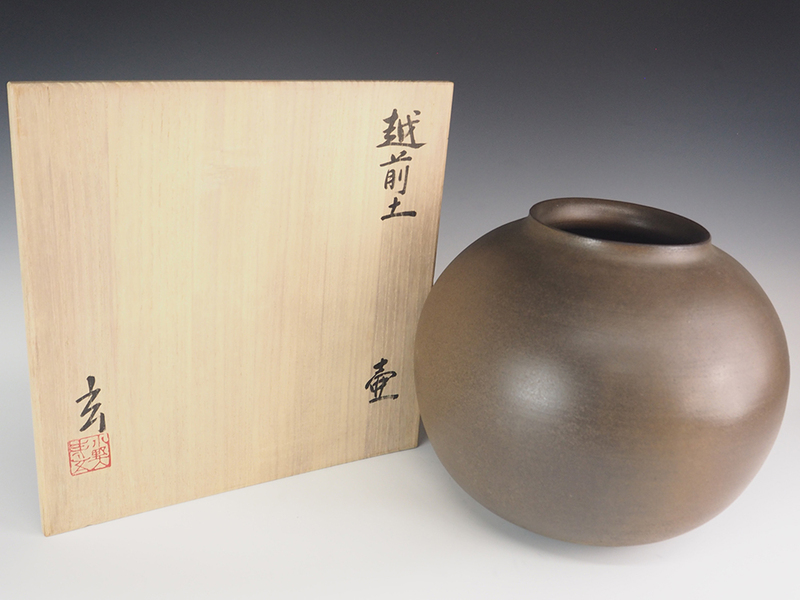 ONODERA Gen | Echizen Jar — Dai Ichi Arts, Ltd.
Born in Hokkaido, Japan’s most northern island, Onodera Gen trained in art school and apprenticed with Rosanjin before establishing his own kiln. He fell in love with early Japanese ceramics, going back as far as Sue ware. Onodera collects ancient shards and believes that black ware offers endless possibilities that are well-suited to the subdued, understated approach that he favors. He is a meticulous craftsman, keeping detailed documentation of his firings.